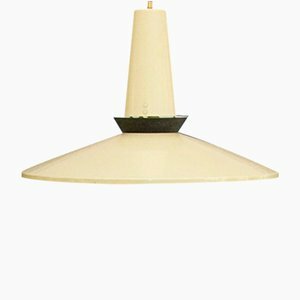 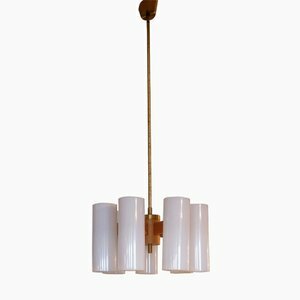 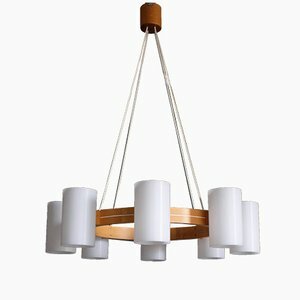 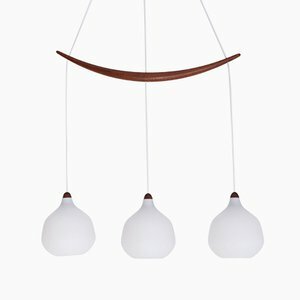 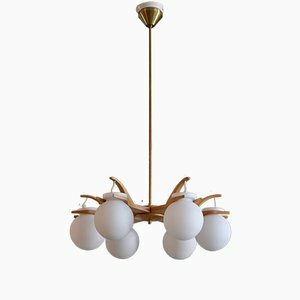 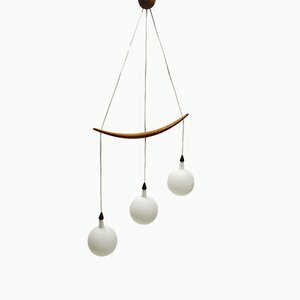 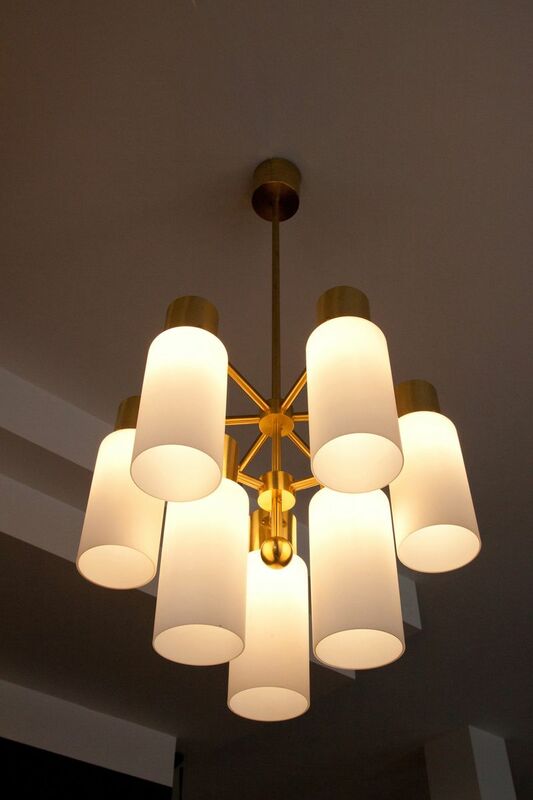 This Scandinavian pendant lamp was designed by U. Kristiansen and manufactured for Luxus in Sweden during the 1950s. 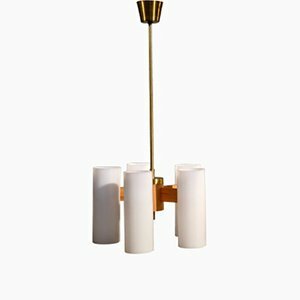 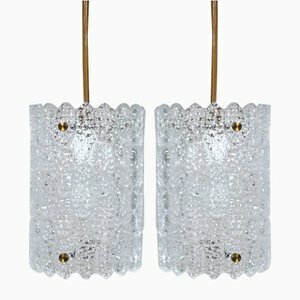 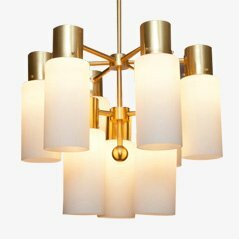 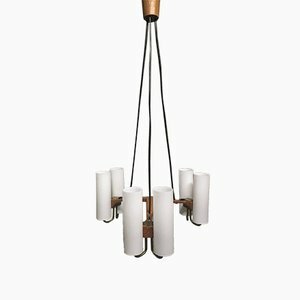 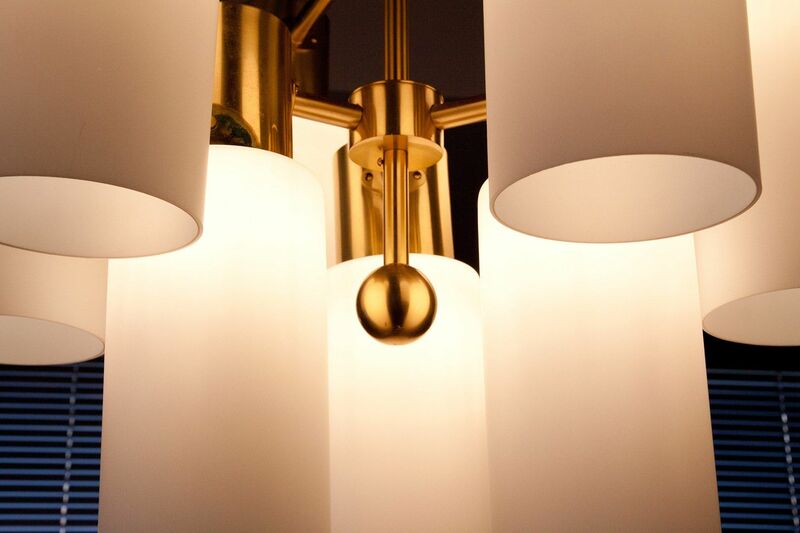 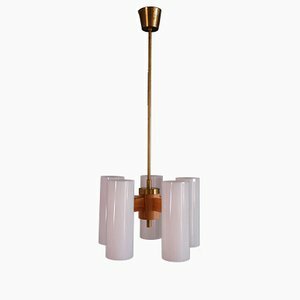 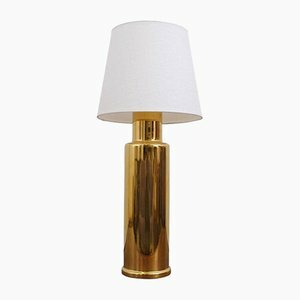 The lamp features a brass frame with nine white opaque glass lights. 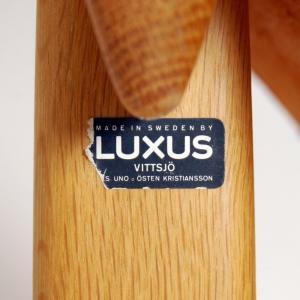 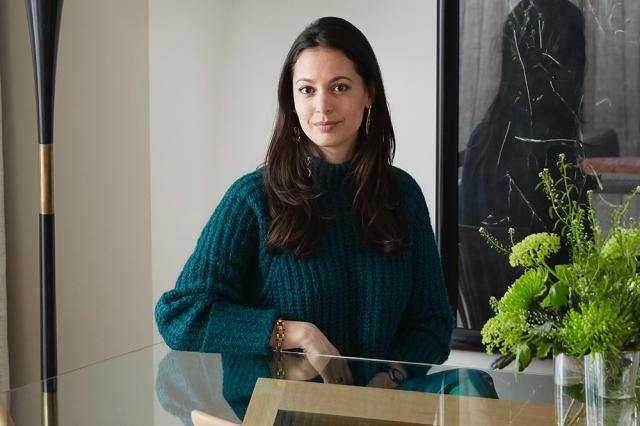 Swedish lighting and furniture manufacturer Luxus was founded by Uno Kristiansson circa 1950 in the city of Vittsjö. 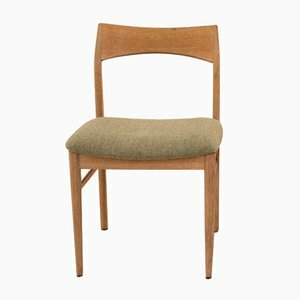 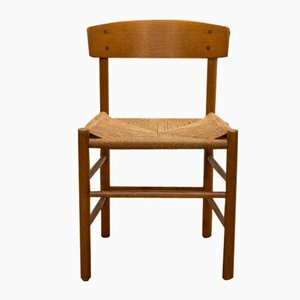 Renaming and running his father’s production company Vittsjö Möbelfabrik AB from 1966, it is believed that Uno’s brother Östen soon merged the two companies, when it became simply Luxus. 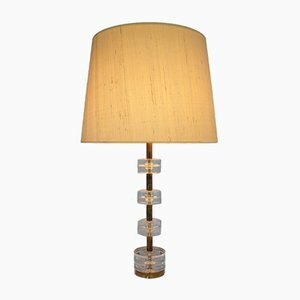 In 1968, Luxus presented a collection of lamps with brightly colored textile shades, which according to some sources were designed by renowned Finnish textile artist Marjatta Metsovaara (1927-2014). 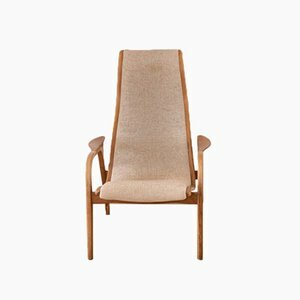 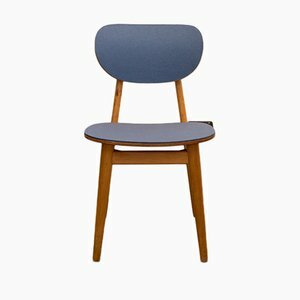 Most of Luxus’s products, however, were designed in-house by Uno and Östen. 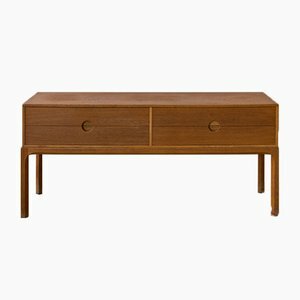 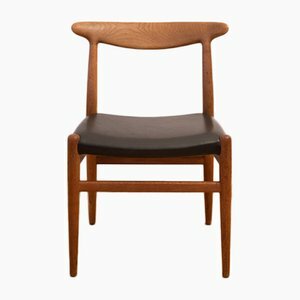 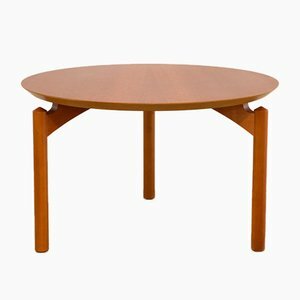 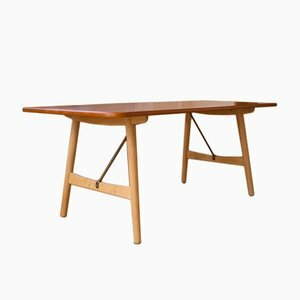 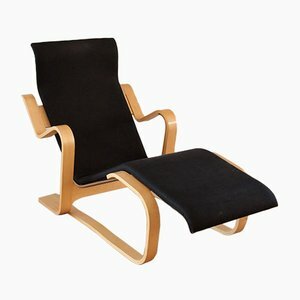 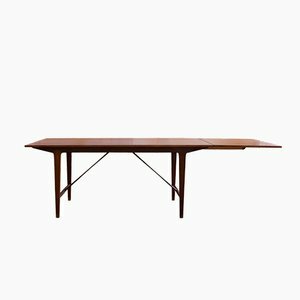 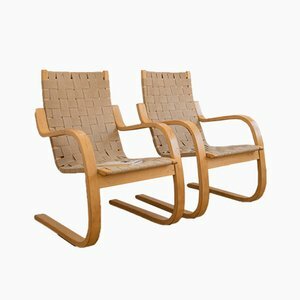 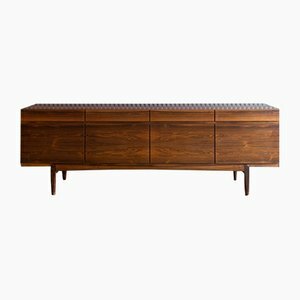 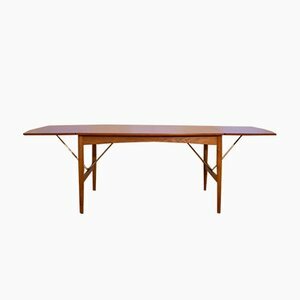 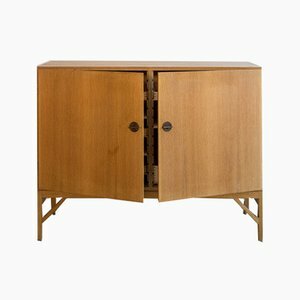 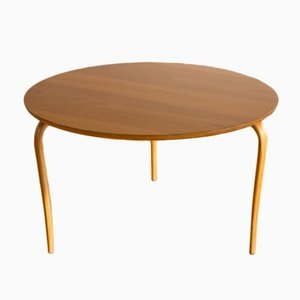 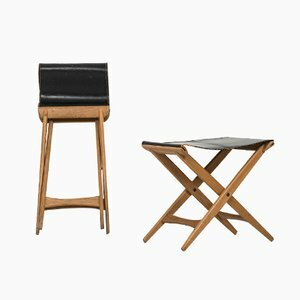 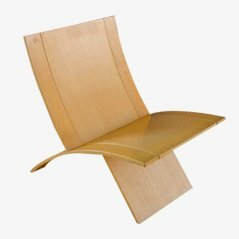 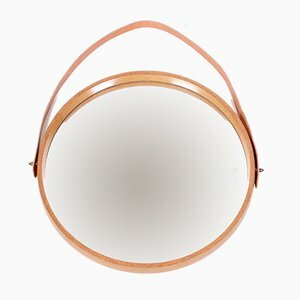 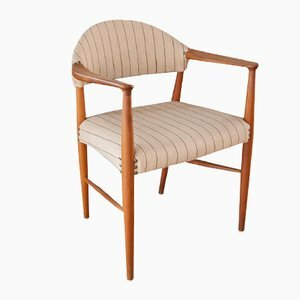 Like many of their Scandinavian contemporaries, the Kristiansson brothers favored teak but did not shy from using glass, leather, plastic, and acrylic. 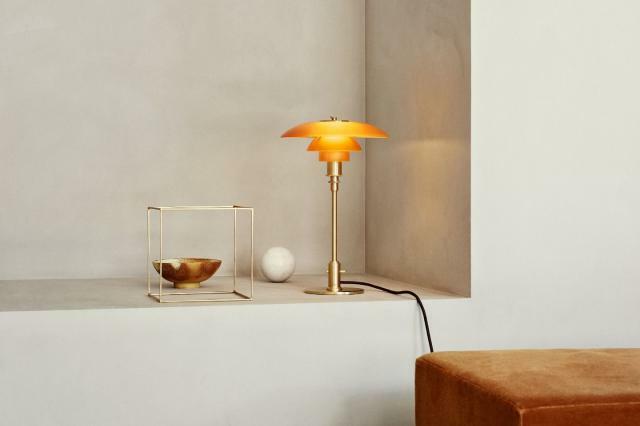 Standouts designs from the brothers include the acrylic Plafo Ceiling Lamp (1950s), the opaline glass UFO Lamp (1950s)—which was made from acrylic in the 1960s—the Model 204 Hunting Chair (1954), and a series of minimalist mirrors from the 1960s that reflect the style of Jacques Adnet’s Circulaire Mirror (1950) originally produced by Hermès. 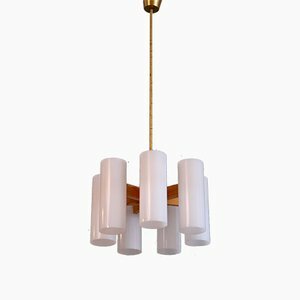 From the 1970s, Luxus focused on the creation of lighting for public spaces, once again featuring models made from acrylic with contrasting minimalist wood details. 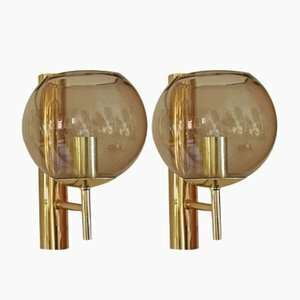 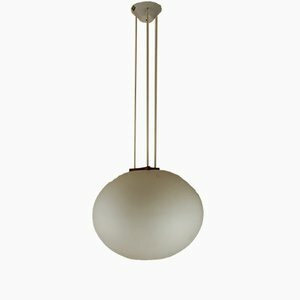 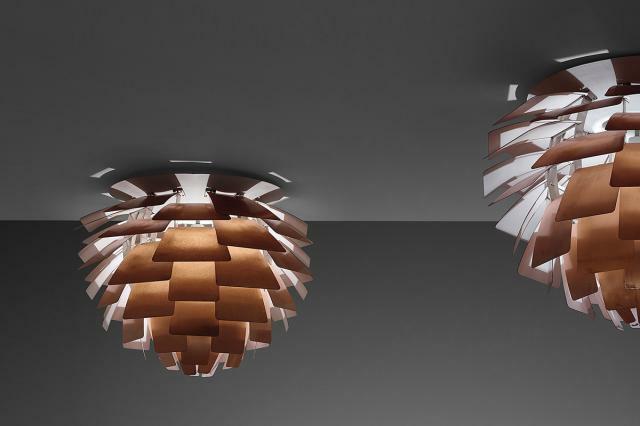 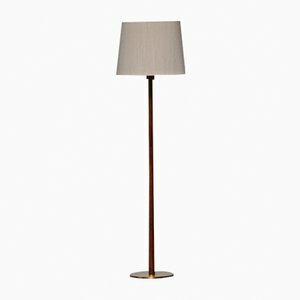 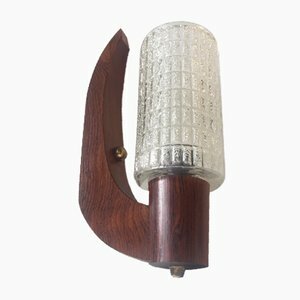 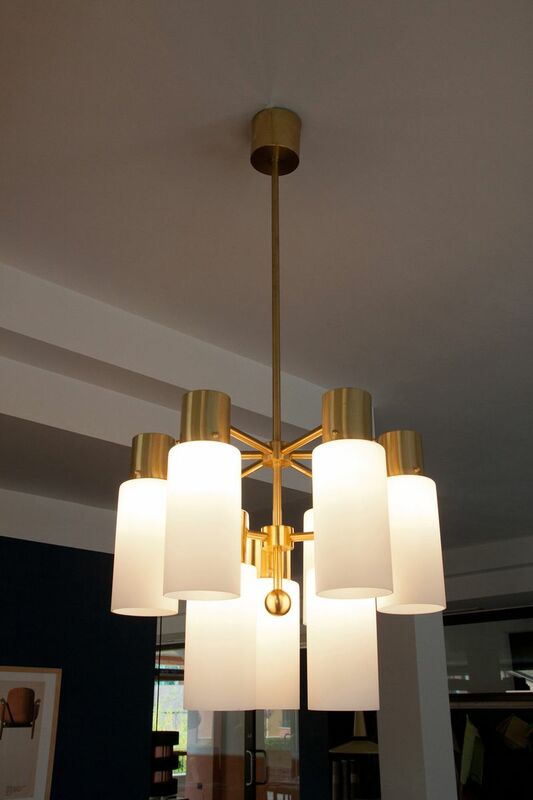 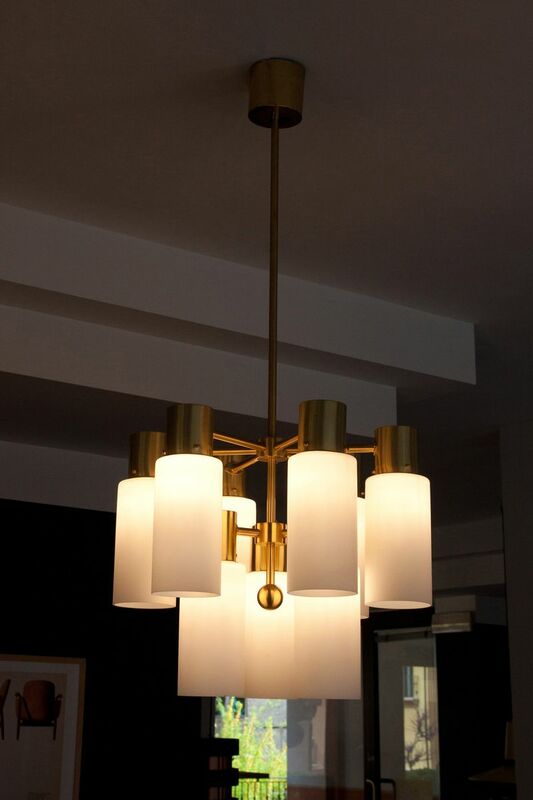 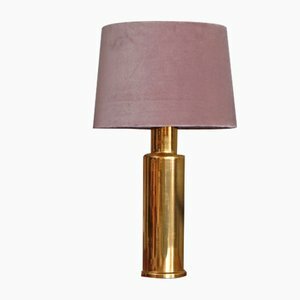 Many online sources list the Arkitektura Lamp, Candus Lamp, Skulptura Lamp, Discus Lamp, Pinus Lamp, and Rustikus Lamp (all 1970s) as part of the Luxus repertoire, yet there are few concrete examples available from this collection, and our editors are working to confirm the authenticity of these models. 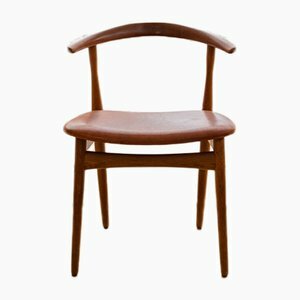 Östen died in 2003 and is survived by his older brother. 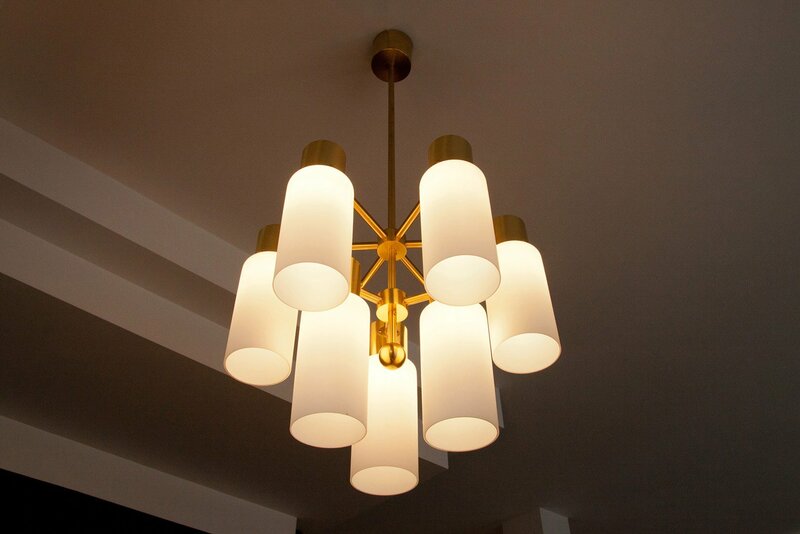 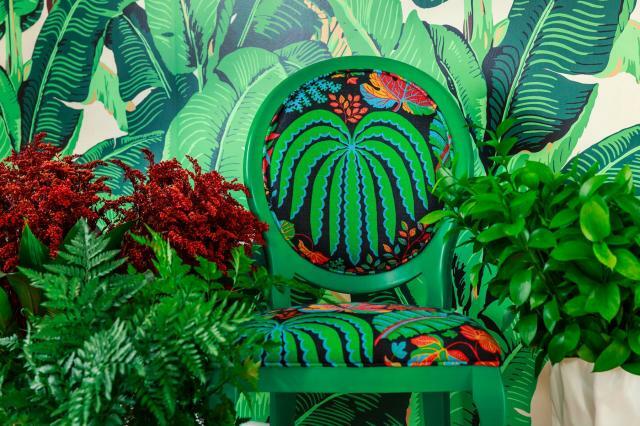 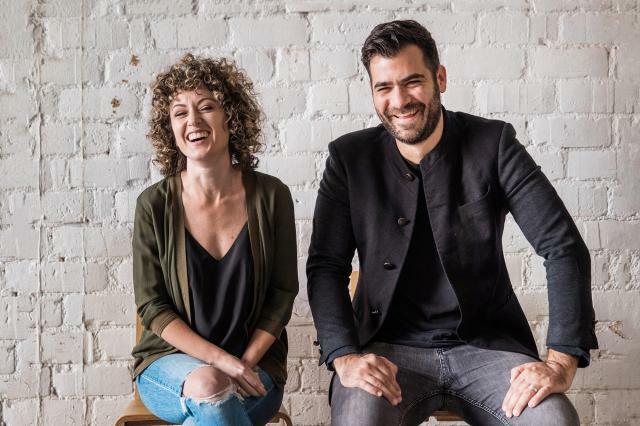 Today, their designs are appreciated by vintage enthusiasts and design lovers in search of mid-century modern design.